In life, if you’re very very lucky, you sometimes get a second chance, a chance to make up for mistakes, a chance for redemption. 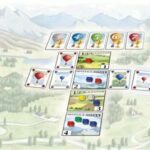 It seems like our friends who comprise the jury deciding the Spiel des Jahres (German Game of the Year Award) have earned themselves a little bit of redemption. 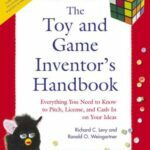 Last year, in our Summer 2002 editorial, we sharply criticized the jury for picking a lesser game for the honor. (Not a bad game but certainly a lesser game in terms of craft and design). With the awarding of the SdJ to Alhambra (featured this issue), the jury has restored a little bit of credibility this time around. But, to be fair, they didn’t quite do it right again either. 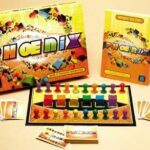 Game of the Year generally means (at least to me and to many fellow gamers) a game of exceptional quality – both in design and playability. 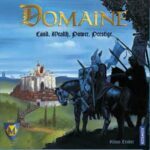 A certain “uniqueness” that makes a game stand out as something special. 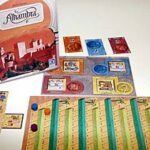 Alhambra, by the talented Dirk Henn, is an excellent game. It’s certainly a game that is not an embarrassment in winning the award. Still, criticizing the jury’s judgment isn’t so much about what they did. It’s about what they didn’t do! 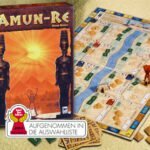 Amun-Re, a Reiner Knizia design and one of his more substantial designs in the last few seasons, didn’t make the final 3 cut in considering for the Spiel des Jahres. 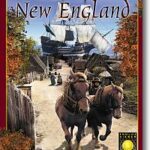 New England, an excellent offering with some unique characteristics, from the successful team of Alan Moon and Aaron Weissblum, didn’t even make the list! 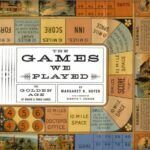 Perhaps you can make the argument that these games should not win. After all, taste is subjective. But a jury judging excellence in game design, should not have slighted the former and certainly should not have ignored the latter. 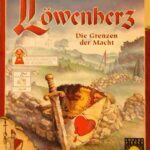 In past years, the award of the Spiel des Jahres caused a wave of excitement in gaming circles. This year, the response, at least on this side of the Atlantic, has been muted. The credibility of the award has been damaged with last year’s inexplicable decision. This year, the jury has taken a step back towards restoring the perceived value of the award. They’re not there yet but at least they’re pointed in the right direction. Let’s see what happens next year! 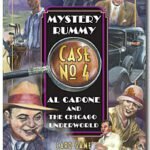 In this issue of GA REPORT, we immerse ourselves in the underworld of Al Capone, journey to ancient Egypt and colonial New England and go ballooning! Greg Schloesser finds that he’s master of his own “domaine” and enjoys a hearty breakfast while Craig Massey finds himself building and trading. And, of course, much more!